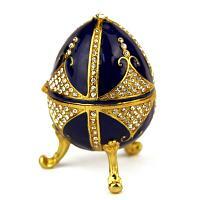 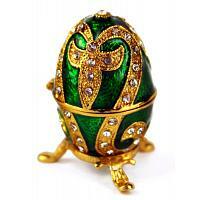 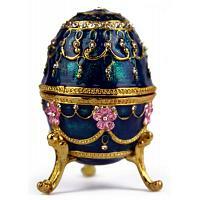 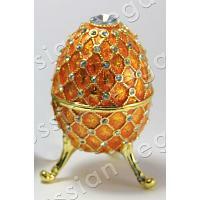 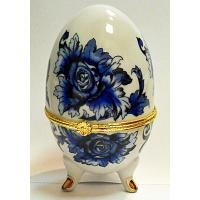 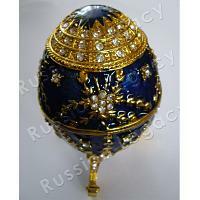 In Russian culture, eggs are an important symbol of Easter symbolizing new life and revival. 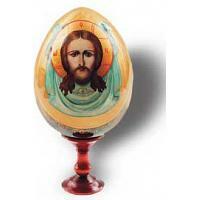 In Eastern Europe, custom of dying Easter eggs red - representing the blood of Christ - has been observed throughout centuries. 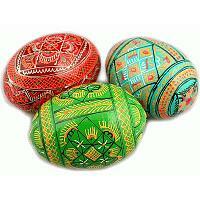 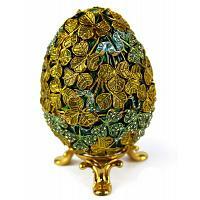 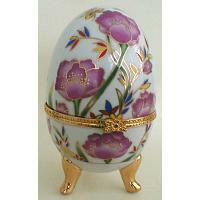 Egg decoration took the form of one-color krashanky to more complex Ukrainian pysanky designed with use of beeswax. 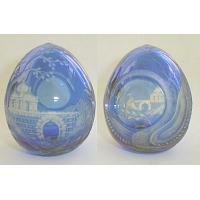 From 1885 to 1917 the tradition was taken to its extreme. 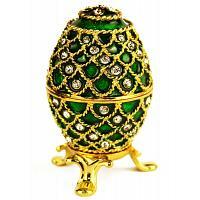 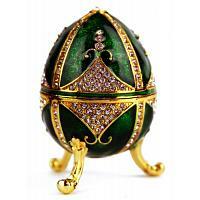 House of Fabergé made a series of jeweled eggs commissioned by Tsars Alexander III and Nicholas II as Easter gifts for their wives and mothers. 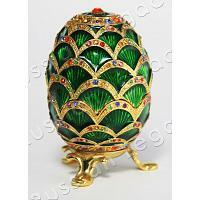 These were made with use of gold, silver, crystal glass, precious wood, and enamel. 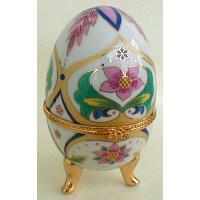 Nowadays, affordable replicas are available to anyone wishing to approach the Imperial lifestyle.